Drinking Water Fountains is a leading water dispenser supplier to a variety of environments in need of a long-term hydration solutions. 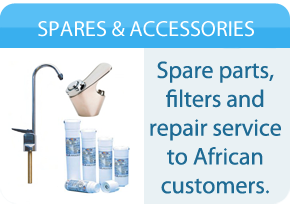 We offer one of the widest selections of drinking fountains to customers within South Africa and beyond. Since 2012, we have grown rapidly and are suppliers of all the major brands of drinking fountains across the world. In response to the growing demand for easily accessible drinking water, our aim is to provide customers with unlimited hassle free and fresh drinking water as well as provide suitable knowledge and assistance on our wide variety of options that we offer. 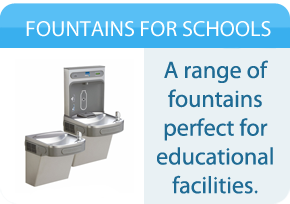 Our range of drinking water fountains are suitable for most environments such as schools, colleges and recreational areas, whether it be indoor or outdoor. From floor standing water fountains to wall mounted sinks and cutting edge water bottle filling stations, we stock them all. So whether you looking to get a new drinking fountain installed or just maintain your old one, our experts are available on the other end of the line to find the most suitable hydration solution for your needs. Have a look out our fantastic indoor and outdoor options as well as the brands we are associated with. Need assistance call us on 021 813 6631 or browse through the rest of our site to see our fantastic options and offers and take your pick today!